I admit it: I live in a bit of a fantasy world. Don’t worry, there is no real break with reality, I just prefer to think that life is like a colorful, interesting movie with a great soundtrack. Honestly, why would you choose otherwise when regular life is so mundane, frustrating, and just so darn…LIFE-Y? Anyone who tries to get my head out of the clouds, and wants me to be more “realistic” (ugh!) is doomed to failure. But have no fear: LIFE does a pretty good job of bringing me right back down to earth, where I land with a *PLUNK*. The outside is so well done, they have added little touches like retro bicycles, and the whole thing looks just untouched by time. Really cool. Well mister, I took one look at that place and the Movie Music just swelled in my head… Dean Martin “Everybody Loves Somebody” and The Shangri-Las… how wonderful it would be to stay there! 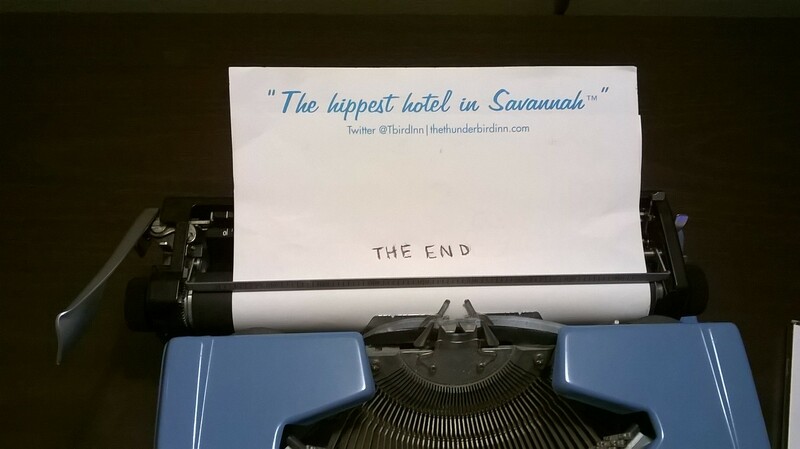 So when we found ourselves with two events in Savannah on consecutive days, my husband suggested we stay there, for fun. I was so excited, and promptly exclaimed that we would have to take our dinner to-go in the room in order to spend as much time as possible in that groovy setting. At check-in we were “upgraded” to a King Suite. Sweet! When we got to the door of our room, there was a sign saying that the bed had the Magic Fingers Feature. Fantastic! As visions of ambiance danced in my head we opened the door, entered the room, and *PLUNK*! I was yanked flat out of my movie soundtrack and I thudded down to earth. 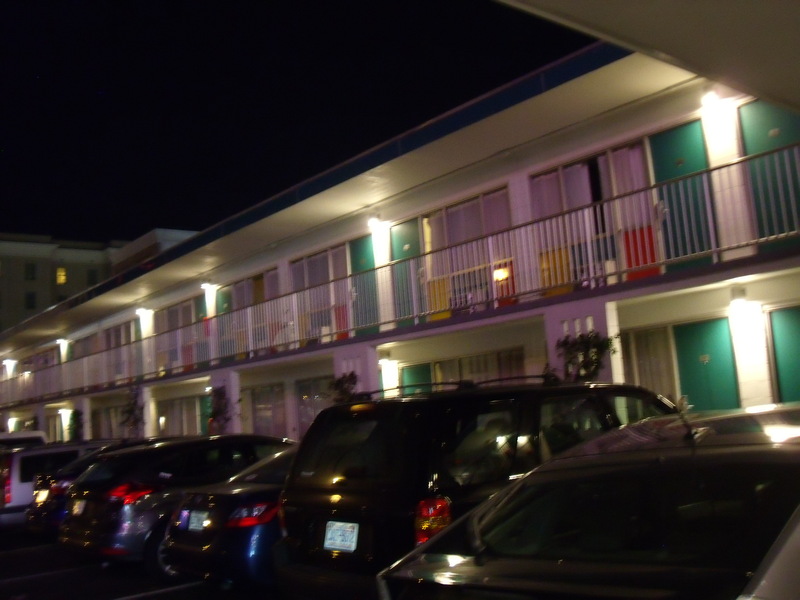 Let’s just say… the ultra-cool, retro vibe of the exterior did not extend into the room! 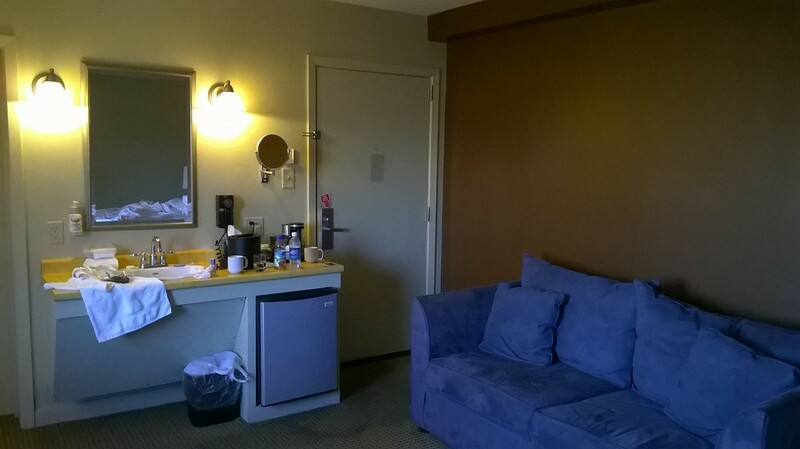 It was an ugly, plain, not-very-stylish hotel room. In really the lower levels of hotel rooms I have ever stayed in in my life. Furnishings? Bland. Walls? Bare. Color scheme? Beige. It was such a letdown. And the King Suite designation? Seemed to be because there was a large fold-out couch uncomfortably shoved between the bed and door. And the Magic Fingers? We never did get that to work. Disappointing, to say the least. After we went OUT to dinner (definitely not taking it to our room) I kept my husband out walking the streets, here and there, to avoid actually hanging out in this room. But when we returned, I had to acknowledge that the room was actually quite clean, the A/C unit worked well, and the bed was super-comfortable. Oh joy!!! Cue the soundtrack! The movie continues! I grew up right around the corner from one of these motels (meaning my childhood is ‘retro’) and even way back then I thought that sign was fab-u-lous. I used to shout “What’s the word? 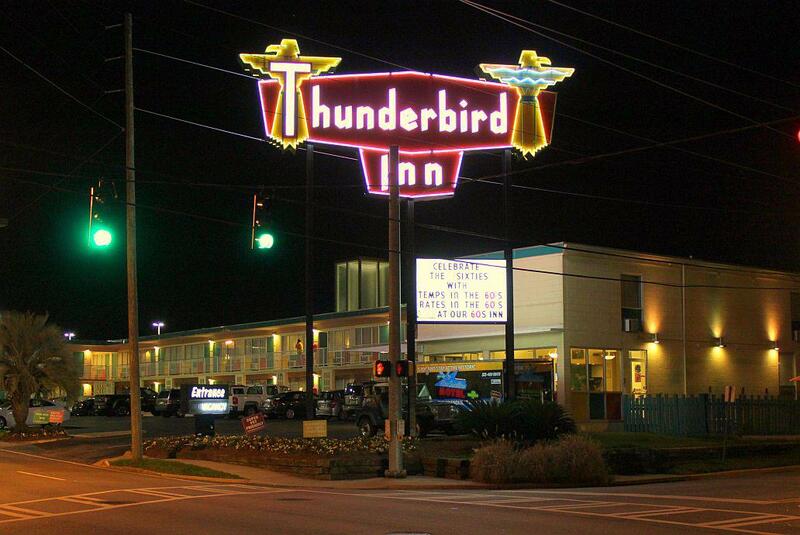 Thunderbird!” everytime I passed. Side note: It was also the classy place to rent a room and lose your virginity for local high schoolers. I can see it still having that kind of aura. 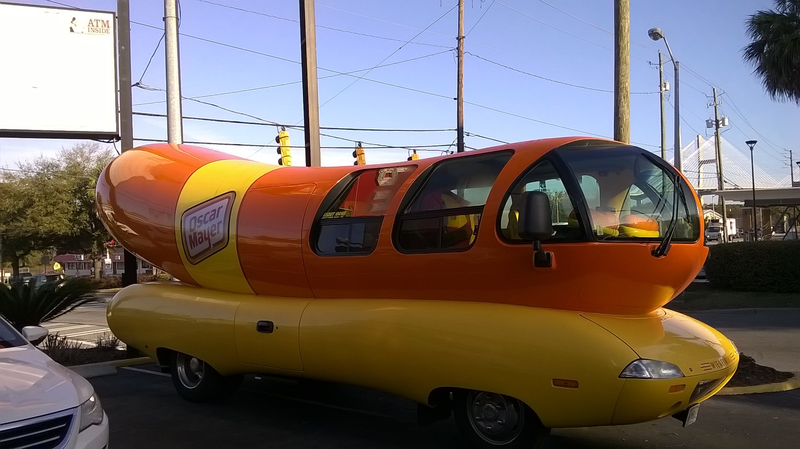 I love that this was a part of your childhood, and dare we say… your “coming of age”?